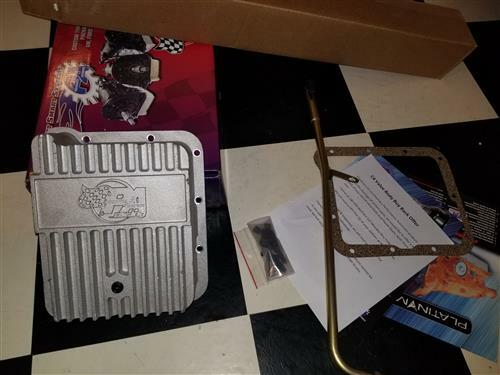 Increase your fluid capacity and keep fluid from sloshing around with the Deep SUmp Transmission Pan Kit! Performance Automatic proudly presents their custom, deep, aluminum pan for Ford Transmissions. This universal pan increases fluid capacity making for more efficient cooling. Its aluminum construction, which is much stronger than a stock steel pan, mates better with an aluminum case, increasing rigidity and eliminating leakage. Aluminum also promotes faster heat dissipation for further cooling of your transmission. 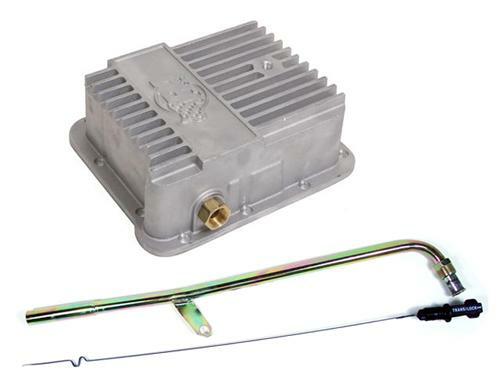 Performance Automatic has designed their pan with a drain plug for easy fluid inspection or transmission service without the mess of dropping a full pan of fluid. All these features, along with high tech styling, make these the perfect transmission pan for show or go.